Appointments for Counselling & Psychotherapy. Appointments for Counselling & Psychotherapy can be made at a time to suit your schedule from Monday to Friday, including the evenings. Some weekend sessions may also be available upon request. Our initial meeting will be up to 90 minutes in length. This is to provide you with an opportunity to discuss what has brought you to counselling and to see if you feel my help will be right for you. If you are happy to proceed, we will arrange a weekly session time. All weekly session are 50 minutes in length. Fees for Counselling and Psychotherapy. 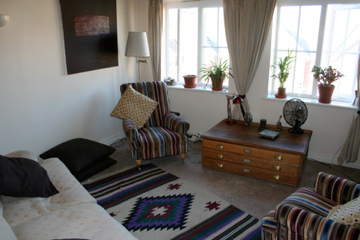 My current fees for Counselling & Psychotherapy are from £35.00 up to £60.00. Please contact me for details of my current appointment times and availability. I provide some Counselling and Psychotherapy at a lower fee between 9.00am and 5.00pm for students and those on a reduced income. If you have any further questions regarding counselling, psychotherapy, appointments or fees, please feel free to ring me for an informal chat. If I cannot answer immediately, I will return your call within 24 hours. All enquiries are strictly confidential. In line with professional practice all missed sessions are charged for.